Yesterday was World Vegan Day and marks the start of World Vegan Month 1 . I didn’t notice that the traffic stopped, nor that people were cheering in the streets, but then again, I didn’t expect much at all. However, there is a discernible change in the way the media is dealing with the whole subject of plant-based eating. I put them in this order because my main thrust is concerned with improving human health. For me, the other two benefits follow naturally from an enlightened self-interest. Most articles and videos tend to waffle on about the rights or wrongs of plant-based eating, but few seem to provide the reader with any links to the research data behind the claims. Hopefully, today’s online Daily Telegraph article entitled Six Reasons To Go Vegan, According To Science 2 , written by Lucy Rahim, is a positive sign of things to come. I would like to share some of its main points with you. It starts by pointing out that veganism has a lengthy list of celebrity backers (I have a problem with that ridiculous word, ‘celebrity’, but let’s not look a gift horse in the mouth), including Russell Brand, Ellen Degeneres, Natalie Portman and Samuel L. Jackson, and that there is an ever-growing list of vegan athletes, including Serena Williams, Mike Tyson and former Mr Universe Barnabas du Plessis. However, the part that appeals to my research-based approach is that the six points the article cites as being ‘scientifically tested’ are backed up by hyperlinks to proper peer-reviewed research. Here are the six reasons in brief, with the links provided by the article. A 2015 study 3 showed that those following a vegan diet lost comparatively more weight than those following omnivorous and vegetarian ones. Sadly, there are no links to peer-reviewed research mentioned in this part of the article. 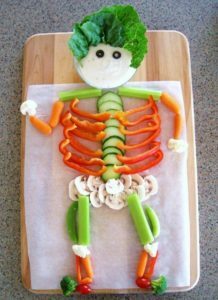 I guess the writer considers that it’s just so widely accepted that eating fruit and vegetables is beneficial. The article does, however, give some detail about why they are so good for us, stating that they are full of essential vitamins and minerals (including calcium, potassium and Vitamin C) and dietary fibre. They do, however, link to another Daily Telegraph article entitled “Eating fruit and veg ‘boosts attractiveness’ ” 12 , which is worth a look. The article refers to a 2017 study 13 which found that the sweat of those who eat a diet of mainly fruit and vegetables was found to be more attractive to women than those on a carb-heavy diet. Looking at the study in more detail, it appears that all carbs were lumped into one group – this included breakfast cereals, breads, ‘carbohydrate foods’, sugars and spreads, and drinks, as well as legumes. By doing this, the study failed to separate what a WFPB diet would define as ‘good’ from the ‘bad’ carbs. Maybe the validity of this latter claim is only something I can leave for my readers to find out for themselves, since the article only provides a link to an earlier Daily Telegraph article on this subject, entitled “Are vegans really better in bed?” 14 in lieu of references to any facts-based research. Even though this article doesn’t look into the negative aspects of eating animal foods, nor of the devastating health impacts of eating processed foods, it’s good to see that journalists are starting to cite the research data behind their claims. The more we see of this the better. 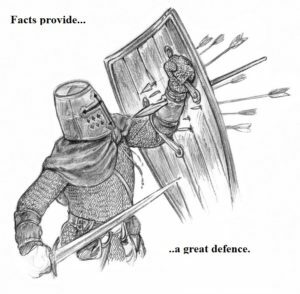 It’s much harder for uninformed and biased sceptics to hit you with arrows when you can block them with shields made of hard facts.